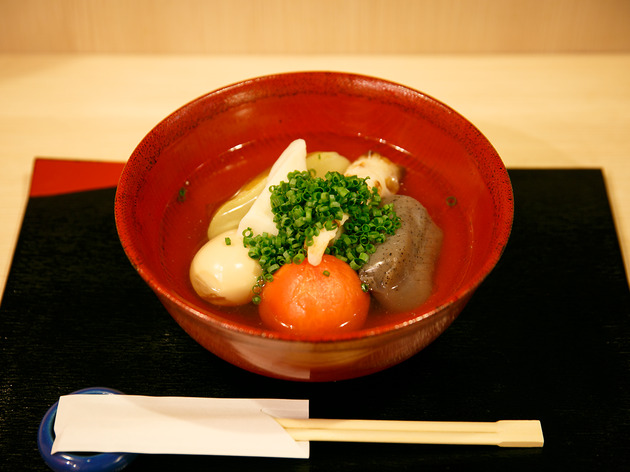 Located smack in the heart of the salaryman bar-hopping circuit, Kamata offers a healthy antidote to all that drinking. 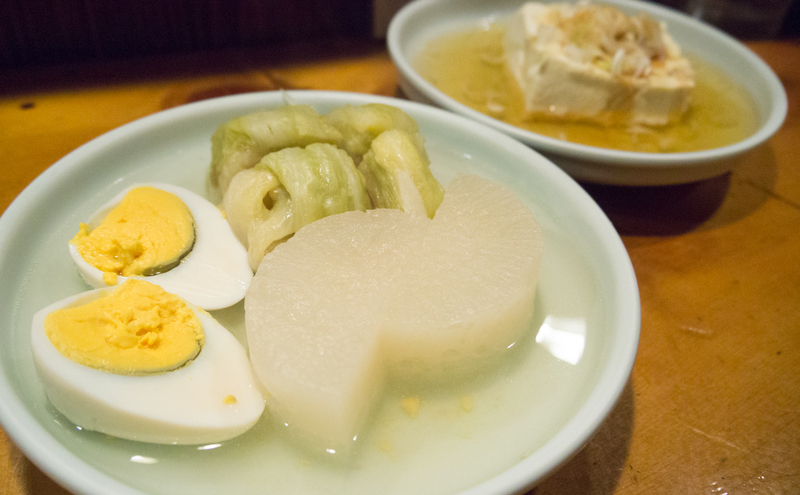 Chef Kamata works magic with a range of ingredients including daikon radish, konnyaku, tofu and soft-boiled eggs with blood-red yolks. A set meal for two costs ¥1,700, or you can buy individual items for ¥200 a piece, making this a worthy year-round destination. 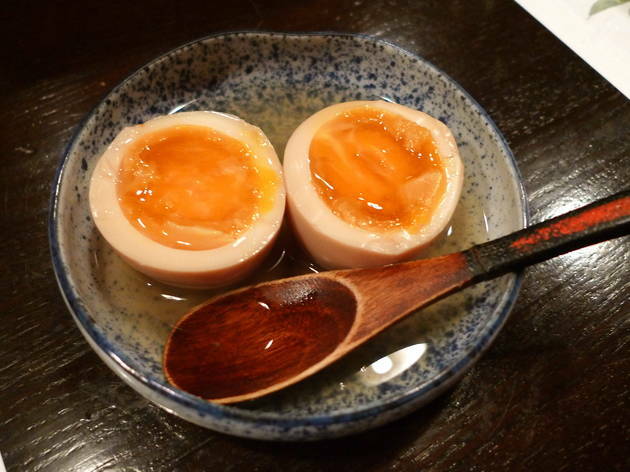 Home to numerous embassies, Hiroo counts among Tokyo's best neighbourhoods for dining out. One standout is the humble Asano, hidden away from the action just off the main shopping arcade. 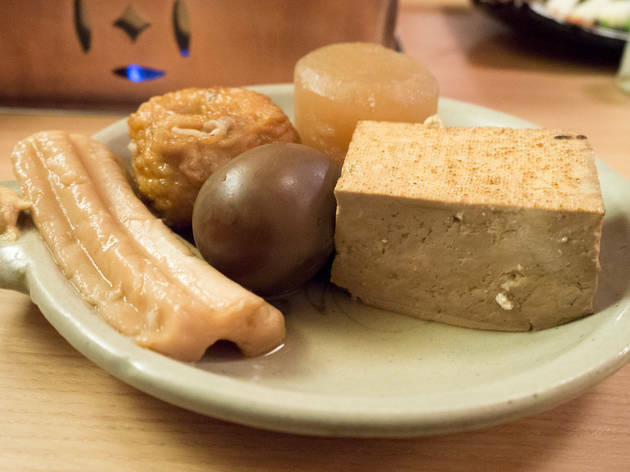 There are eight to ten varieties of Kyoto-style oden to choose from, including tamagoyaki omelette and vegetables in a clear, sardine- and chicken-based broth. 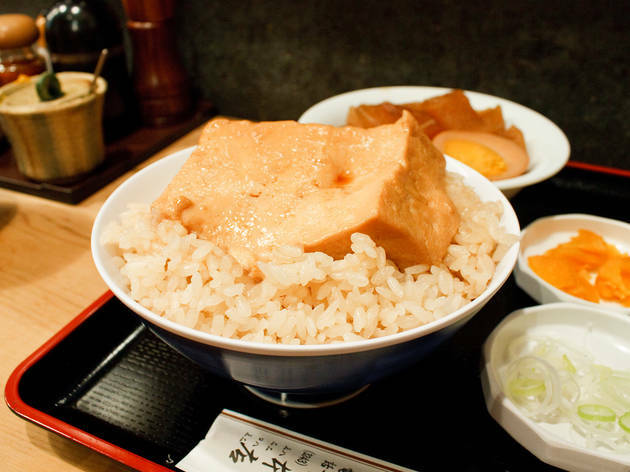 Popular in its native Nagoya, Samon have placed an eye-catching (and oversized) oden pot outside – a stunt that surely lures in quite a few customers. 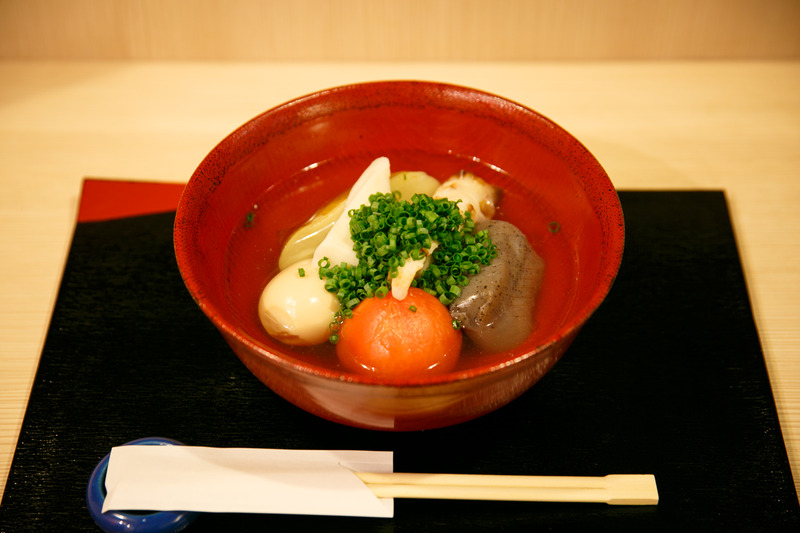 Standing out with the way they cook their oden, Samon offer a mixture simmered in a chicken and vegetable stock noted for its full-bodied and rich taste. We'd definitely recommend having the daikon, which soaks up the stock beautifully, and the succulent chicken skewers – you'll thank us later. 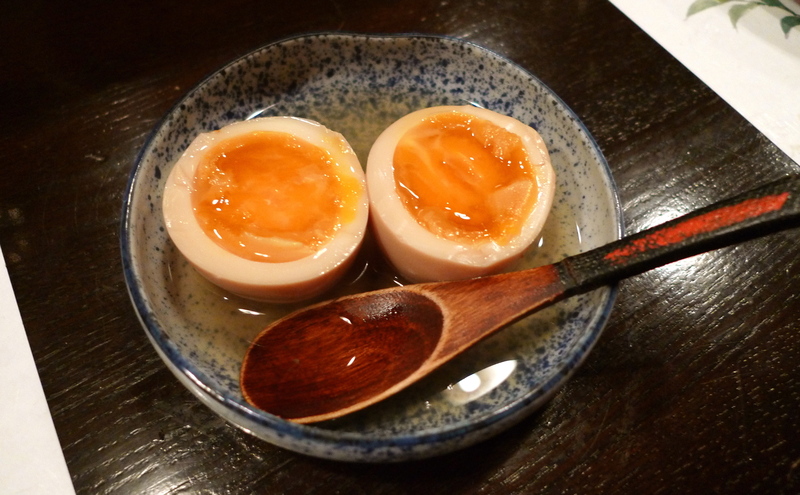 The Nagoya Cochin soft-boiled eggs are also rather impressive and well worth driving your chopsticks into. This long-standing restaurant, marked out by its hanging paper lanterns and well-maintained garden, has been in business since the Meiji era. 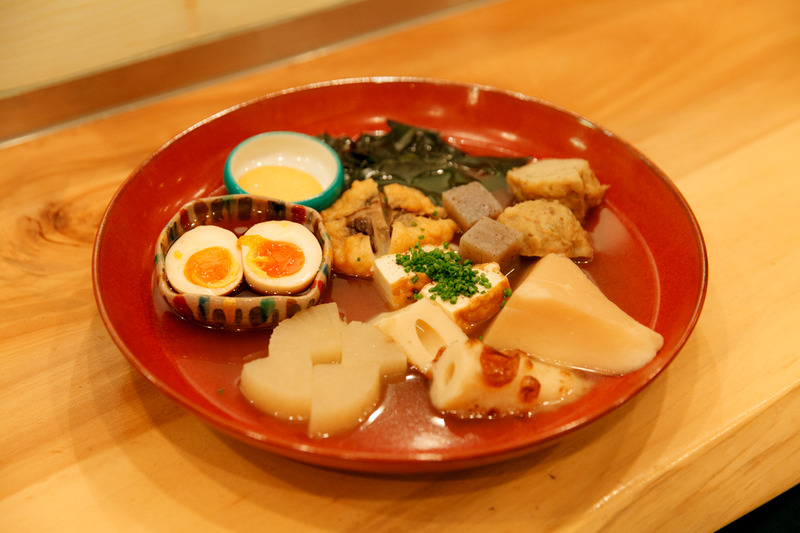 It's no wonder Otafuku has lasted so long: the light soup has a delicate but complex flavour, while the selection of oden items includes unusual offerings such as makiyuba (rolled tofu skin) and shinodamaki (meat, vegetables and fish wrapped in a layer of deep-fried tofu). If decision-making isn't your strong point, you'd be better off giving Owariya a miss. 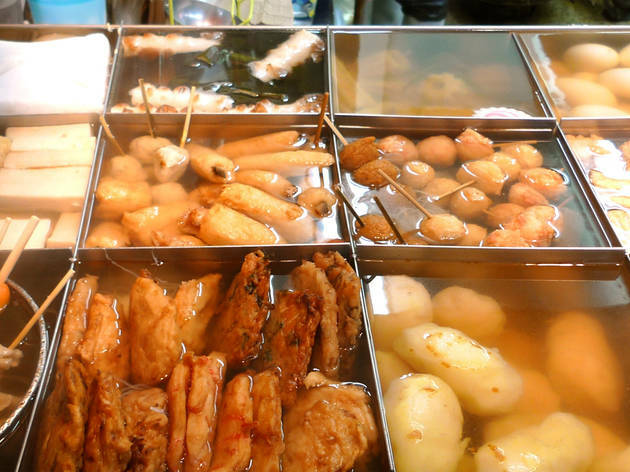 This 85-year-old restaurant has a whopping 30 oden items stewing in its sweet-tasting amber soup. We recommend starting off with the impressive 'cabbage maki' (ground pork and beef wrapped in a cabbage leaf) and taking it from there. 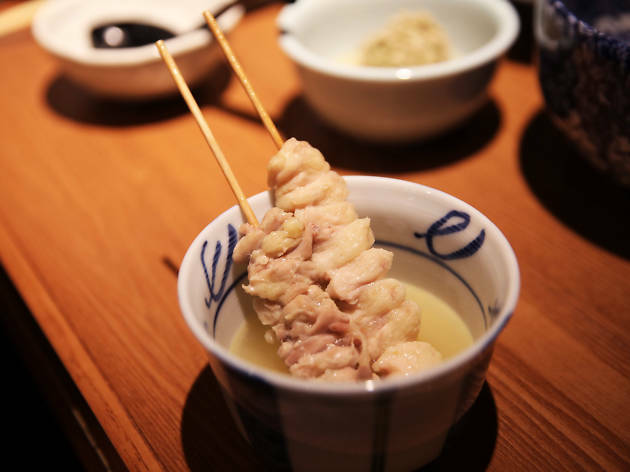 But if you go for the oden, you'll probably end up staying for the atmosphere: the charming proprietress always makes sure her guests are well taken care of. 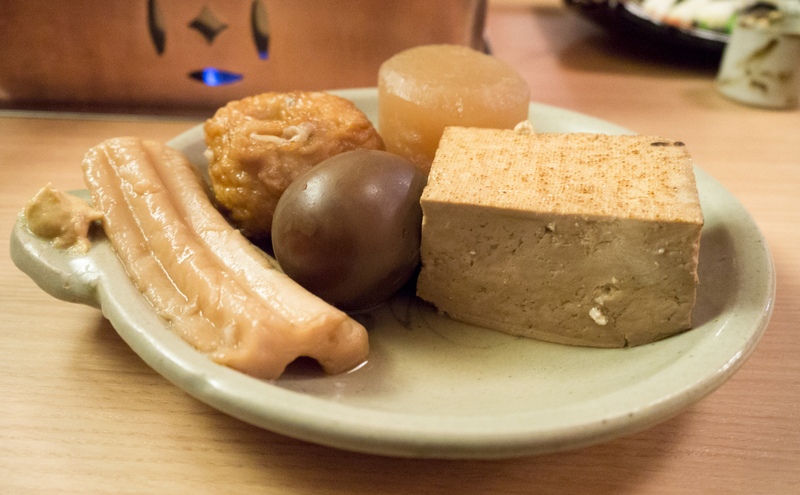 Be sure to make a reservation at this Kagurazaka oden spot: Esaki only has 16 seats. 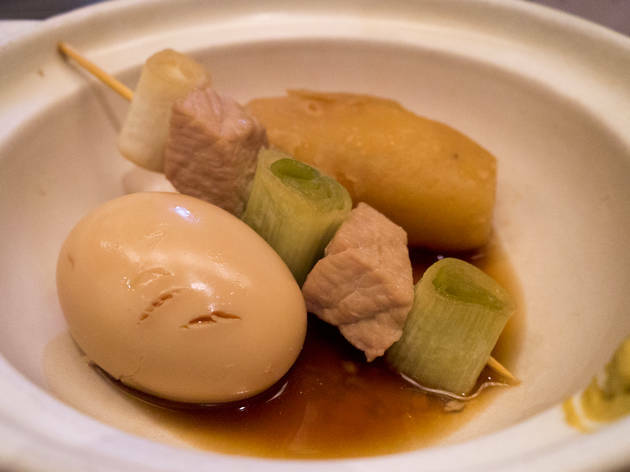 Enjoy a bowl of oden packed with chunky slabs of stewed buri (yellowtail), fat hamaguri clams and perfectly cooked soft-boiled eggs – or, if you’re feeling indecisive, give the oden moriawase assortment a try. 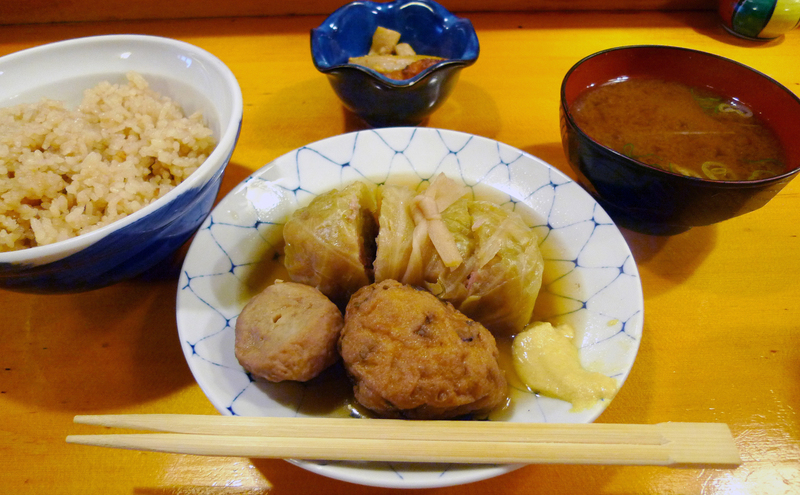 Other offerings include a selection of fresh sashimi and some rather good ajitsumire (jack mackerel fish balls). 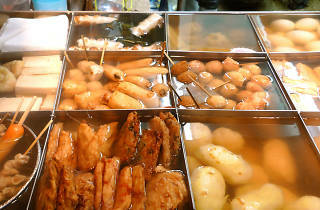 Otako specialises in Kanto-style oden, simmering a variety of items in a dark, salty-sweet stock. 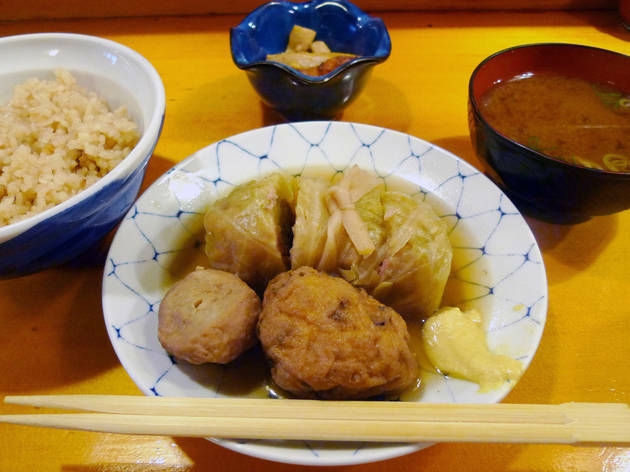 Try the tomeshi, which comprises a block of silk bean curd served on a bowl of chameshi (tea-infused rice), or enjoy one of their cheap, filling lunchtime sets, which includes an oden-style soft-boiled egg with daikon, a bowl of miso soup with shijimi mussels, and a side salad. 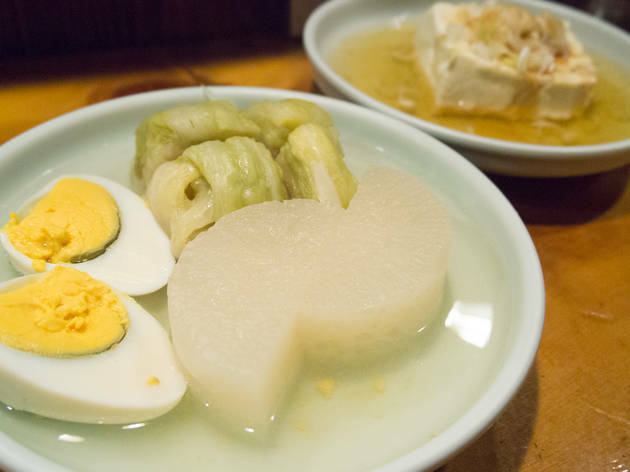 If you like to keep your options open, stop by at Inagaki, which serves up a triple threat of oden soups: clear and simple Kansai style; rich, soy-flavoured Kanto style; and dark, miso-flavoured Nagoya style. 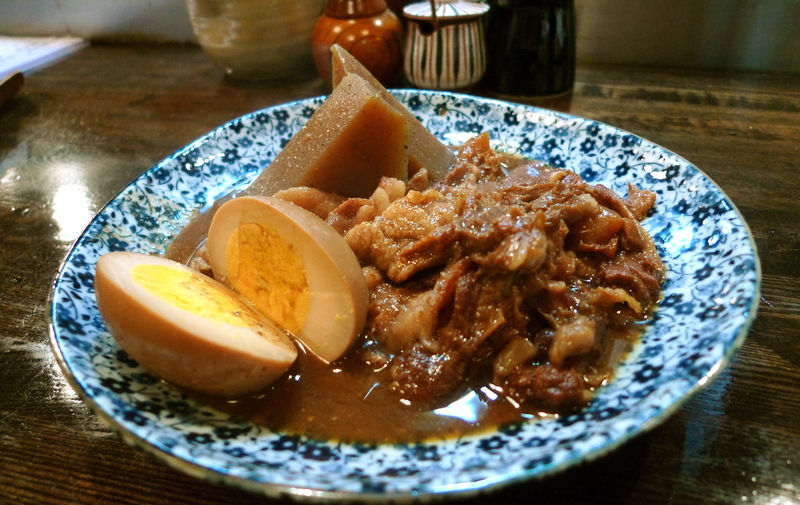 While all three are simmered to perfection, our personal favourite has to be the Nagoya variety. 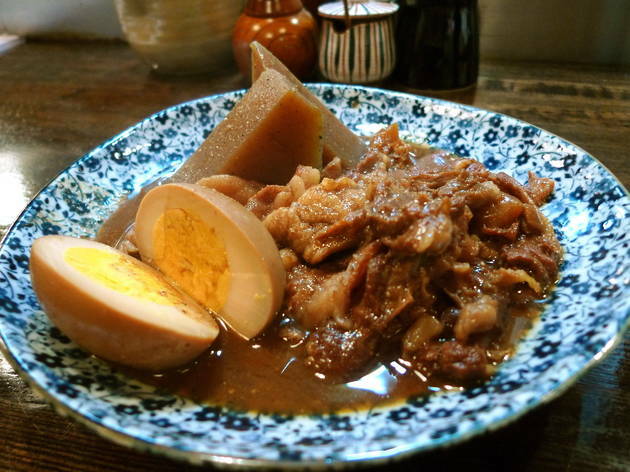 Try it with soft beef tendons, konnyaku and egg, all of them steeped in the deep flavour of the soup. 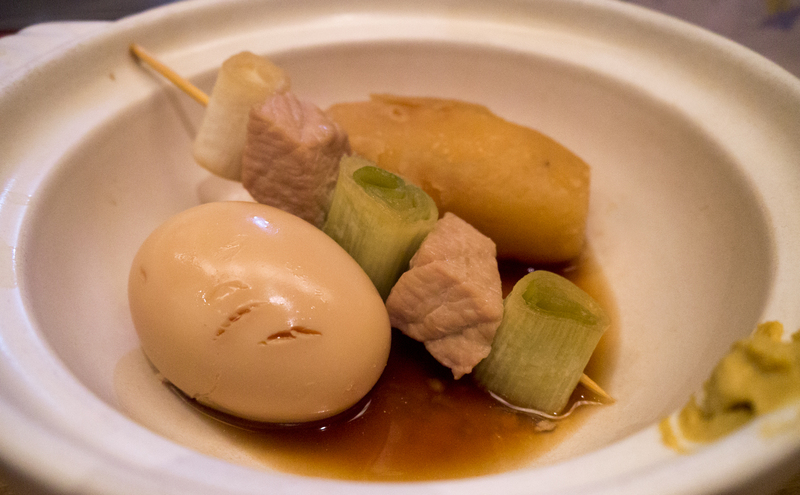 If you like your oden a little bit classier than average, head to Okame for an upmarket taste of this hearty dish. 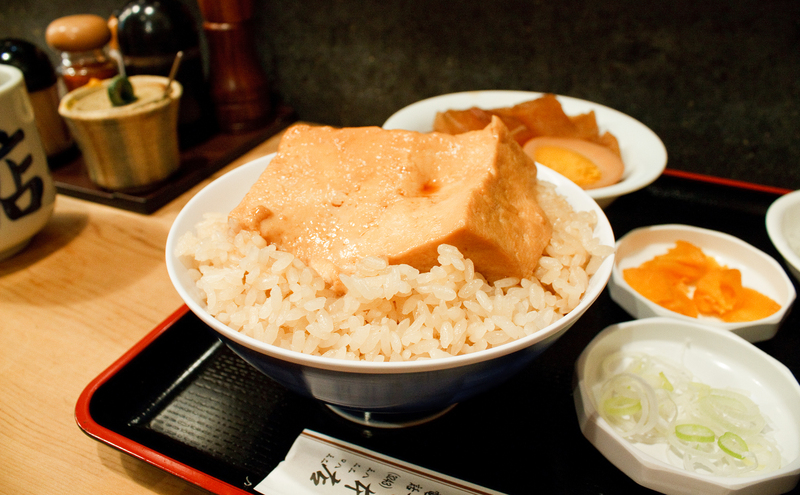 This two-floor restaurant serves up a Kansai-style broth and has a wide selection of oden items to dabble in (if you can’t choose, the tofu and octopus come highly recommended). 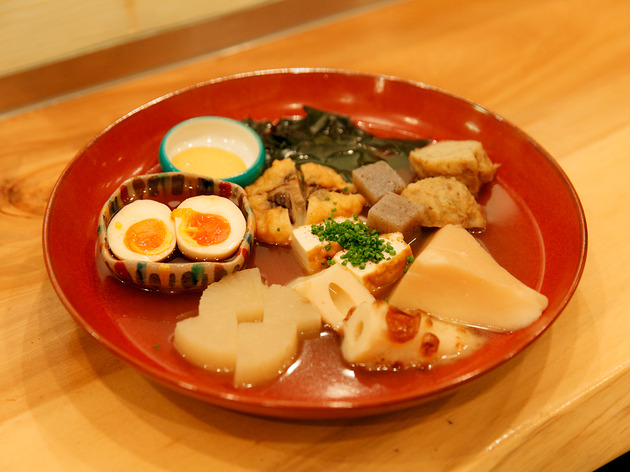 You can also sample a selection of sides – but if you really want to finish your meal on a high, go for the ochazuke, made with the same dashi stock as the oden.